Hotel Den Helder - Looking for an affordable and original overnight stay in the maritime city of Den Helder? 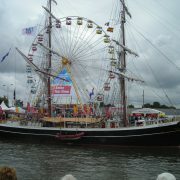 Look here for one of our hotel ships in this nice North Holland city. Den Helder is a very nice city for a city trip. The city itself has a lot to offer and from Den Helder you can visit Texel very well. After a day enjoying this nice harbor city and the environment it is a great home on one of the Sleep ships in the harbor. There are ships available for bed and breakfast or hotel. This is a surprising and fun way of spending the night on a weekend trip or a family outing. Throughout the year you can book overnight stays on a ship. You sleep on a ship with an atmospheric salon as a central center. A comfortable and made-up bed awaits you in your cabin. And in the morning there is a nice breakfast ready for everyone in the salon. In the morning you can drink a cup of coffee on deck while you look out over the water. And especially take it easy, because you only need to disembark at 12.00 hours. A special and original overnight stay on board a hotel ship. Our sailing charter ships come in various shapes and sizes. From fast sporting ships to beautiful atmospheric accommodations. In Den Helder, in the old harbor area Willemsoord, the hotel ship Antje has been stationed since 2018. This ship has just been converted into a beautiful and luxurious hotel ship. In addition to bed and breakfast, the ships are also extremely suitable as group accommodation for groups of friends, family and colleagues for, for example, family celebrations and company presentations or outings. Is not your next stay at? Do you have special wishes or other questions? Then we are ready and you can contact us without obligation. And Sleepers are scattered all over the Netherlands, because the ships can come wherever water is. So we can also enter ships if that is desired. Feel free to ask about the many possibilities we offer. Right in the Kop van Noord-Holland, the city of Den Helder has nearly sixty thousand inhabitants. In the north, east and west it is surrounded by water. 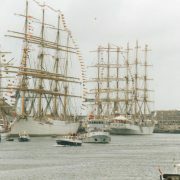 Den Helder is best known for the Royal Navy and Navy Days. The city center has a variety of shops and an indoor shopping center. You can shop well here and settle on one of the many terraces. 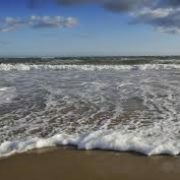 Den Helder has a beautiful wide beach, the city has been in the highest regions for years when it comes to the number of hours of sunshine per year. In addition to the beach, Den Helder offers, if the weather is not good, enough indoor entertainment with, among others, the old Rijkswerf Willemsoord. 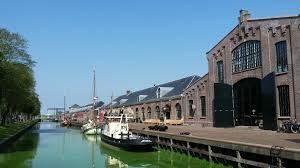 On this beautifully restored site you can find the Marine Museum with a submarine, the Rescue Museum 'Dorus Rijkers' and the mega cinema Utopolis. There are also several nice restaurants with terraces here. The Hortus Overzee greenhouse complex (De Oranjerie), De Kampanje theater are also major attractions.